The Biomedical Research Foundation Library aims to support and promote its scientific research efforts through the organization, dissemination, and utilization of biomedical information. It is the Foundation’s “central distributor of information”. Specifically, the BRFAA Library aims to support its research effort; to collect, store, organize and disseminate the scientific knowledge; to support any educational activity in BRFAA; and finally, to develop and distribute tools that support medical librarianship. For these purposes the BRFAA Digital Library utilizes the available resources for the best delivery of information services, collaborates with other Libraries and applies modern principles and techniques of Information Science and Information Technologies. To cover the specific scientific needs of BRFAA researchers, the Library provides full text electronic access to high impact factor journals in biomedical sciences (Nature, Science, Cell, New England Journal of Medicine, Nature Medicine, Neuron, etc) and the most valid and up-to-date international databases (Web of Science, Scopus, Scirus, PubMed etc). Furthermore, BRFAA Digital Library is a member of the Hellenic Academic Libraries Link (Heal-link), providing full text on line access to 8,000 electronic journals, books and bibliographic databases in Health Sciences. 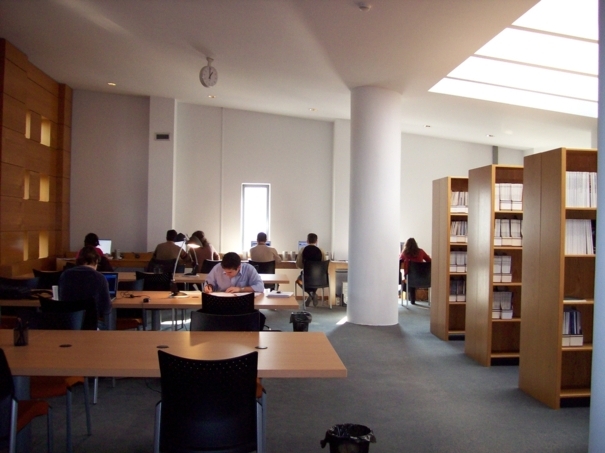 It is also member of the National Network of Technological and Scientific Libraries and the National Documentation Center. Finally, it provides online access to electronic libraries and lexicons, as well as to scientific portals. The BRFAA Library shows dynamic presence in the field of medical librarianship. From November 2005, Artemis Chaleplioglou (Head Librarian) has presented 15 original research projects in national, European and international congress of librarianship and Information Science. Furthermore, she is a member of the Committee of Medical Libraries of the Association of Greek Librarians and Information Scientists (ΕΕΒΕΠ), and has vote rights in the European Association of Health Librarians (EAHIL). One of the current Library activities is the development of a Digital Institutional Repository, which will record and organise all of the scientific research findings that take place in BRFAA and are accepted for publication in peer reviewed journals. Information Specialist, MSc, PhD can.